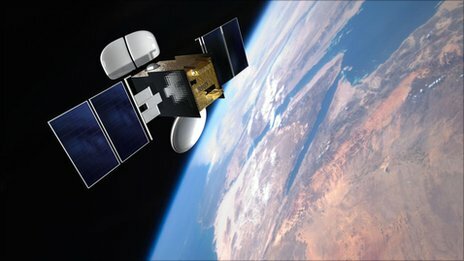 Are you planning to operate a VSAT hub on this satellite ? Various reports suggest 150,000 to 350,000 users. The w ww.avanti.plc web site home page involves the download of 41 resources (html, gif, jpg, js files etc) �totalling 904k bytes. The www.satsig.net web site home page involves the download of only 18 resources and totalling 151k bytes, so satsig is about 6 times faster. I guess that Avanti are looking for web site visitors such as satellite service providers who already have good terrestrial internet access so are not worried about Avanti having a slow web site. �I don't get the impression that Avanti want to sell services directly to people who might become VSAT end users. Avanti need service providers and local resellers, like Bentley Walker and Europe-Satellite, who will either lease satellite capacity and then implement their own VSAT hubs, or resellers who will simpy resell capacity provided from large Avanti HughesNet VSAT hub rack. Firefox says the avanti site w ww.avantiplc.com �totals 21 item2 vs satsig's 21, for a total of 590k against 177k. �I have flash disabled, but neither site has flash on the homepage anyway. I use an accelerator service, which works very well for compression of html & css. �Its the compression I'm after, not the 'acceleration' which is redundant since the satellite is faster than a dial-up anyway. �Images are recompressed at a lower quality to reduce the size, but the above figures are with the accelerator service disabled. �Avanti have several pictures they want to show right away, a common nuisance on homepages. Satsig is fast enough in itself. �However, some people (Frits knows he is) have a habit of uploading nice snaps in bulk. �Slow for dial-up, bandwidth eating for us Ka system users. �If these inserted images could be replaced with just a thumbnail with a link to the full picture it would be a boon. �More work for satsig, though. I take the point. In the first message of this thread above I have just replaced the original high quality image of the Hylas satellite with a small low quality thumbnail version with clickable link to the original image. Size reduction from 24k bytes to 2.3k bytes! Long text files 1 : 17 compression. Large high resolution images: up to 1: 70 compression. Note however that less was acheived with already optimised, compressed files such a small low quality jpg and none at all with video/audio files. I use Propel Accelerator, which allows various amounts of image degradation. �I keep it set to medium. �I rarely watch videos, anything longer than 2 minutes and I feel very nervous, and end up watching Bitmeter instead. I live in a rural area myself but i do get about 7mb adsl but at peak times i only get around 1mb so i use my vsat as a back up as no good 3g coverage around here. Eight km to the exchange with some sections of junk cables. �No broadband, as BT will not replace the cables since there are only a dozen of us at this end. 1G mobile phone, Vodafone works if you go up the garden, Orange doesn't. �No 3G in this area, no 2.5G, some 2G, but not here. No DAB radio. �The BBC has apparently no plans for coverage. They will be content with 85% of the UK population, or 90% if the Government insists. And right at this moment, -5C and 3 miles of ice to get to the main road, with one car waiting for repair due to failng to make it down an iced-up hill in the other direction on Saturday. �Well, we made it down, but parked in a hedge. �Rural life in mid-Wales! So a boosted Ka service (for broadband prices, hoho) would be appreciated. �There is UK government money in it, after all. �Actually, it will probably become essential. The Dec issue of SatMagazine is out. "Eutelsat say that likely wholesale fees for capacity to its Sat2Way/Tooway service will be about �30 per month for a download speed of 3.6Mb/s (and an upload speed of 512 Kb/s) with a cap set at 2.4Gb max), or �60 for a 6 Gb cap. Eutelsat say that ViaSat supplied SurfBeam 2 terminals will cost around �300, (and compares with �2000 back in 2003)."